It’s a natural part of aging for daily life to grow more difficult, but it’s especially hard when a loved one is struggling because of memory loss. 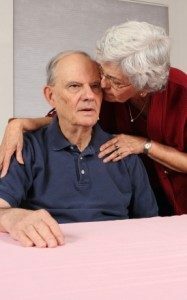 In addition to memory loss complicating grooming, housekeeping, socializing, and the rest of day to day existence, it can strain relationships with friends and family. When your loved one’s Alzheimer’s, dementia, or other memory challenges grow beyond a point where he or she can maintain their previous lifestyle, it may be time to consider a residential care option. Safety and security measures. These are important for everyone to inquire about, as it is important to protect your loved one from fraud or abuse. It’s also particularly important for those whose loved ones are prone to wander due to memory challenges. Staff experience. It’s important to know how thorough any background checks are, and if the staff are specially trained to provide memory care or any particular therapies. Daily life. What services are included in rent? What services are provided in memory care that go beyond those provided for personal care? What will your loved one’s routine be like? What kind of activities can he or she participate in? At Rosewood, memory care is a separate and unique program from personal care. It provides the same basic services, with the addition of extra security, specially trained staff, and personalized programs of care that address each resident’s unique capabilities and challenges. We work hard to make sure our residents are able to retain, as long as possible, their current skill sets. That means focusing not on what they can’t do, but on what they can. We work hand in hand with the Alzheimer Association to continually educate our staff, as well as residents’ families, to help the two work together to provide respectful, compassionate care.